The Morning Star Home Science is located in a sprawling campus, enwrapped with greenery. The ambience of the college campus is just perfect to enhance the learning environment. It also has a decent infrastructure. The college envisions empowering the girls with wisdom, values and knowledge. It aims at making the girls responsible citizens and the most efficient home makers. The college also has many cells, which are a significant part of the college development. Airport: The college is at a distance of 5.4 km from the Cochin International airport and thus reachable by hired taxi or auto. Railway Station: The college is 1.3 km from the Angamali Railway station and accessible by auto. Bus stand: The college is at a distance of 1.2 km from the Private Bus stand. Hence reachable by auto. 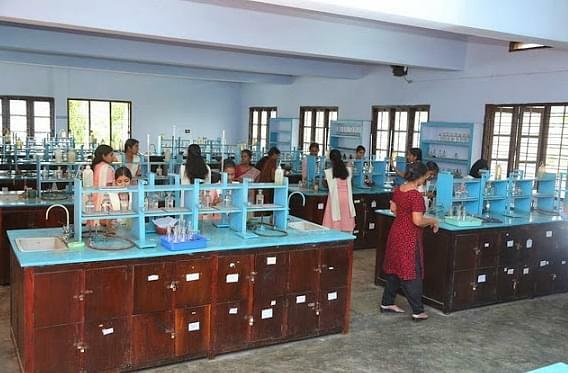 Why to Join Morning Star Home Science College, Ernakulum, Kerala? Alumni: The College has an alumni association which provides with the development of the college. It also caters to strengthening the bond between the old students and the college. Scholarships: The College provides scholarships to the students who are needy and deserving. These are given to the students in accordance with the norms and rules. Career Guidance Cell: The Career Guidance cell organizes workshops, seminars, talks and open discussions which aid the students to reach their goals. There are also executed programs of earning while learning which involve classes of Baking, flower arrangement, fashion designing etc. These also help the students to accomplish their dreams. Accreditation: The College has been re accredited by NAAC with a B grade.